This is single print, so only one copy will every be printed of this image. 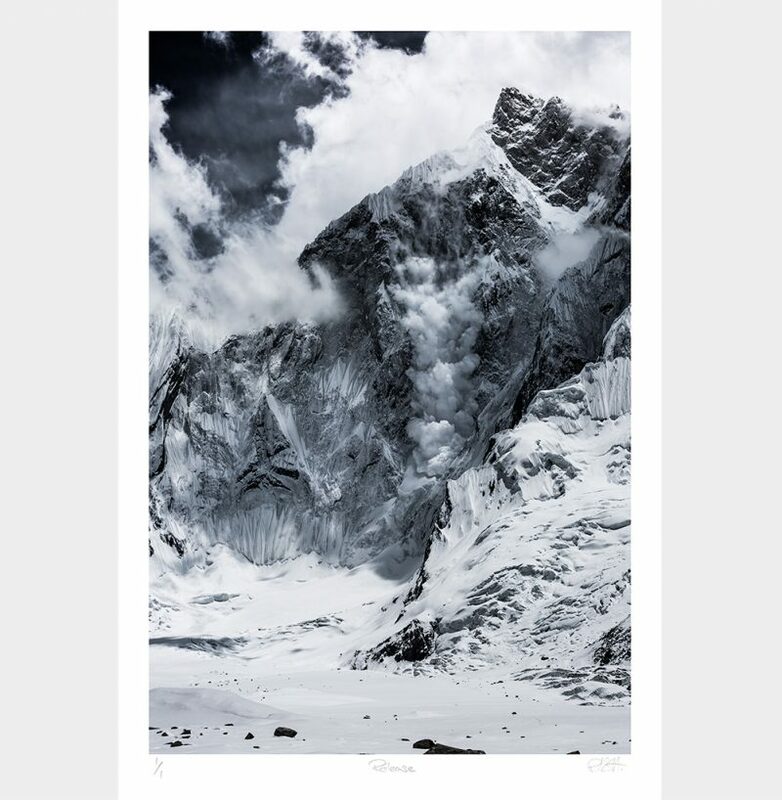 In the the image a huge avalanche thunders down to the face of K6 in the Pakistani Himalayas. K6 is the smaller cousin or its more famous cousin but still standing at 7282m with an elevation of around 3000m from the valley floor it is an impressive sight. The sheer size of the face makes them appear to be moving incredibly slowly but in fact are travelling 100's of Kmph. All my prints are processed by professional printers The Print Space, delivering the highest quality fine art prints. I use Hahnemühle Photo Rag paper which I find especially good for Fine Art Landscape prints, if you felt you wanted a different finish though, do get in touch here. Delivery of unframed prints is free anywhere in the world.